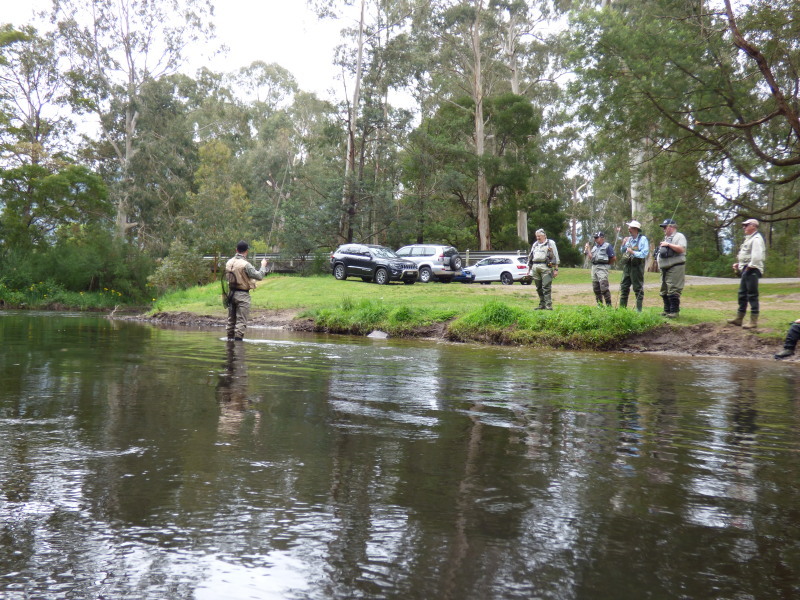 "Come and Try Fly Fishing"
Yarra Valley Fly Fishers Club organises an annual “Come and try Fly Fishing” events for local men and women, 14 years and older, who live within a 30 minute drive from our Club Rooms at Lilydale. This is your chance to learn to fly fish at a tranquil, purpose built, rural fly fishing property, situated within one hour’s drive from Lilydale. Both rainbow trout and golden trout are stocked in the numerous dams on this property, and all the fishing is “catch and release”. To benefit from course you must attend every tuition session. The aim of this course is to enable devotees to fly fishing to approach any water and be able to fish in a positive and confident manner. As you can imagine this is a broad area and covers many different subjects with some overlapping. These different areas can be expanded on later and sometimes the basic knowledge is sufficient to catch a fish and feed the passion to learn more.